Junior Walk of Coal River Mountain Watch in Naoma, W.Va., poses for a photo near the mountaintop removal coal mine on Kayford Mountain Aug. 19. KERMIT, W.Va. (CNS) — Sitting on the shaded front porch of his two-room cabin on a lazy August afternoon, Delphin Brock pointed toward the next mountain ridge where a few weeks earlier heavy equipment was remaking the landscape. Then, he said, noise from the mining activity echoed over the mountains. “You could hear the scrapers. They were doin’ a lot of shootin’ over there, you know, using explosives,” Brock said. Brock, 73, has lived on the mountain ridge for a little more than a year. A native of Harlan County, Kentucky, Brock moved in next to his sister and brother-in-law so they could keep an eye on him after a heart attack and heart surgery. He said the beauty of this part of Mingo County reminds him of home. But he sees the mining across the ridge as a concern. “I come over here and see this strippin’, and I tell you, you just want to cry. Nothing grows for four or five years. 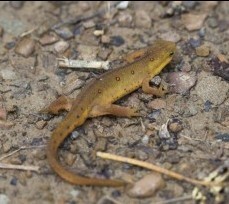 Everything (wildlife) there has to leave and go somewhere else. And when the wind blows, the dust flies,” he said. This day, the mountaintop where the miners worked to extract valuable Appalachian coal was quiet. Part of the distant mountain had taken on a faint green hue, a sign that grasses have been planted in an effort to reclaim the now flattened surface to its “approximate original contour” as required by state law. Brock stood and walked into the cabin. Inside, the retired superstore worker ran his right index finger over the countertop around the bathroom sink, leaving a streak in the fine cover of dust. “It gets dusty here, yes. You can see the foliage and still you got plenty of dust. And this year we got plenty of rain, but you still got the dust. That’s got to be comin’ from there,” Brock said. Back on the porch, Brock reflected on the value of the coal as a natural resource. Despite the dust, some noise and the leveling of the landscape, he sees coal mining as a necessity for the world. “Not the strippin’ of the mountain, but the coal. They ship that coal probably to China. China don’t have no resources to support them,” he said. 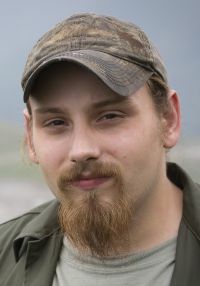 Brock’s sentiments are typical in West Virginia coal country, where the need for well-paying jobs largely outweighs critical environmental and health concerns. Just around the bend in the tree-shrouded gravel road from Brock’s cabin is Big Laurel Learning Center, a ministry rooted in the land and traditions of Appalachia. Sister Kathleen O’Hagan, a member of the Sisters of Notre Dame de Namur, and Sister Gretchen Shaffer, a member of the Congregation of St. Joseph, have lived on the knob above Marrowbone Creek and coordinated the ministry of Big Laurel since 1976. They said they are concerned about mountaintop removal mining. The widespread industry practice involves clear cutting trees and using explosives to blow apart the tops of mountains to expose coal seams. The resulting debris, called overburden, is used to fill valleys between the mountains, often covering streams that are the headwaters of important waterways. Mining sites can range up to thousands of acres in size. 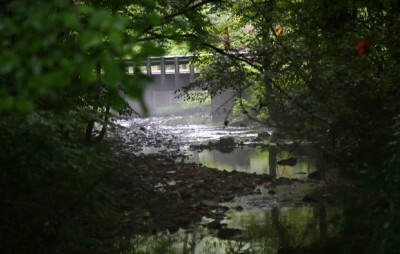 Big Laurel rests on a 465-acre tract known as the John A. Sheppard Memorial Ecological Reservation established by Edwina Pepper, who settled on the mountain in the 1940s in an effort to preserve the beauty and culture of Appalachia. Gradually the reservation became surrounded by mining operations. Sister Gretchen and Sister Kathleen are driven to keep the land unspoiled. In a state where mining is the only significant industry, conservation often takes a back seat to mining interests. The need for well-paying jobs in a state rife with poverty — 17.8 percent in 2013 — often means that what the mining industry wants, the mining industry gets, environmental advocates told CNS. Junior Walk is outreach coordinator at Coal River Mountain Watch in Naoma, West Virginia, an organization formed in 1998 by people concerned about mountaintop removal mining’s effect on the environment and people’s safety and health. A onetime mining company security guard, Walk, 24, said he quit after seeing the disregard that mine managers had for state and federal regulations and worker safety. 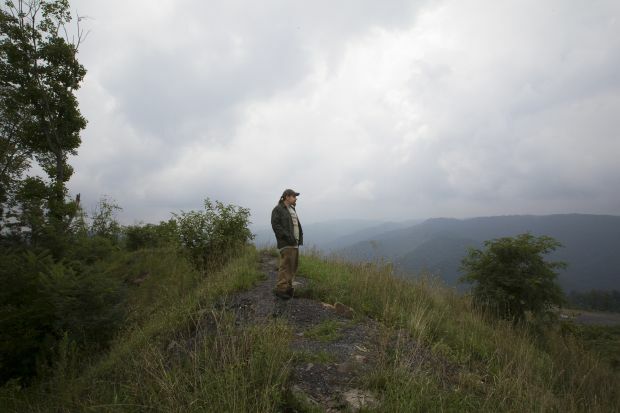 “My people have been in these mountains for generations and they’ve always been under the boot heel of the coal industry and I think there’s something really wrong about that,” he said while sitting in a picnic shelter on a preserved section of Kayford Mountain that is surrounded by a 7,500-acre surface mining operation 35 miles south of Charleston. Larry Gibson, whose family has lived on or near the mountain since the late 1700s, saw the destruction being caused by surface mining and bought a 50-acre tract to save the entire precipice from being decimated. “That’s the way it’s been since the Civil War. Since then it’s all been the same story. All of our laws were created here to expedite the process of extraction. To make it as easy as possible for people to come in, take what they want, leave a huge mess, make all their money and take it back up to Wall Street or wherever, and leave us with nothing,” said Walk, whose father and grandfather worked in the mines. Few West Virginians are as blunt about coal industry practices as Walk. Most people fear retribution against themselves or a family member working in the mines for speaking out. Calls and emails from CNS to coal producers were not returned. Representatives of the West Virginia Coal Association and Citizens for Coal canceled appointments for interviews and did not respond to requests for alternate meeting dates. Bishop Michael J. Bransfield of Wheeling-Charleston understands the dilemma facing the region. The bishop, who addressed the issue of mine safety in a 2010 pastoral letter, told CNS that although the need for jobs is great, environmental, safety and health concerns must not be overlooked. The bishop also said he has concerns about mountaintop removal mining and called for stronger monitoring and transparency in mining practices. “What I’ve seen of mountaintop removal, I’m not really crazy about. I do see it as a big problem. I see the residue left and what happens afterwards is very, very bad,” he said.